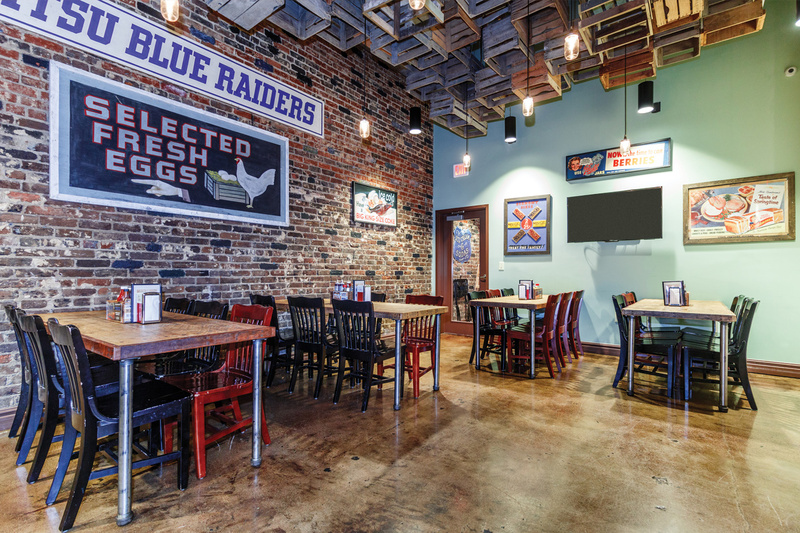 Puckett’s offers multiple venue options, as well as off-site catering, full-restaurant rental and private group reservations. Get to know us below! From delicious bites to private rooms to gorgeous event spaces, Puckett’s has something to offer for every occasion! Our events team can help transform any raw space into your dream ambiance- whether that’s one of ours or your own! When it comes to food, we offer something for every taste at every meal: breakfast, lunch and dinner—from our signature slow and low pulled pork barbecue, brisket and chicken to chef-attended grits station to biscuit bars, passed Hors d’oeuvres and much much more! Voted best catering restaurant year after year in the Williamson County Sizzle Awards, Puckett’s in Historic Downtown Franklin offers multiple options for your group: off-site catering for groups and events of all sizes, large group reservations in our restaurant for small to midsize groups and full restaurant buy-outs for larger groups and special events. 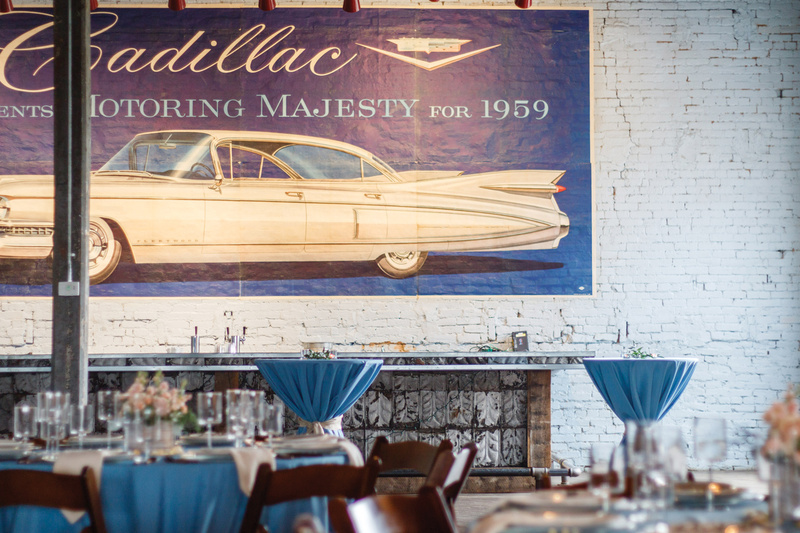 From weddings to corporate dinners, we’ve hosted it all at our Franklin location! 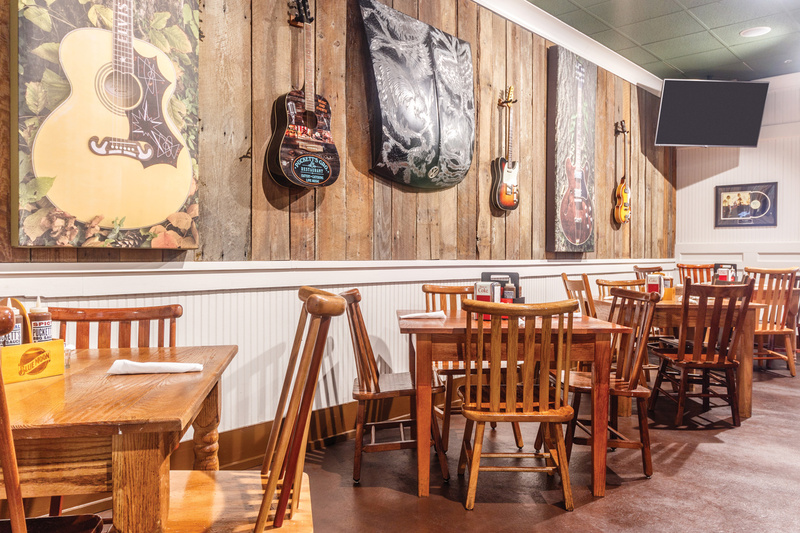 Experience the excitement and energy of Downtown Nashville at our Puckett’s 5th & Church location. Located in the heart of Music City, our Nashville location has become a popular destination for folks across the country who want a real taste of what Nashville does best: Southern hospitality and delicious food! Whether you’re looking for a large party reservation, want to rent the entire restaurant or need off-site catering for events of all sizes, we’ll work with you on all the details—all you’ll have to do is enjoy the event! From business breakfast meetings to number one hit parties we do it all in Nashville. Puckett’s Gro. & Restaurant in downtown Columbia is chock full of party possibilities! Our private dining rooms are perfect for corporate lunches, baby showers, birthday parties and more! The Polk Room seats up to 30 people, and the Mule Room seats up to 40. Upstairs we have the Puckett’s Event Space. This rustic, eclectic open-space venue can host any event– from intimate gatherings of 75 people to a large celebration with 250 people. Pair the ambiance of this space with our award-winning food and service, it will be a celebration your guests are sure to remember! With seating for 60, Puckett’s Chattanooga’s private room is great for gatherings with friends and family, business parties and so much more! Need more space? Full restaurant buy-outs are also available, and off-site catering is always an option. Our ‘Boro location boasts a private dining area adjacent to the main room that can be closed off for complete privacy and can accommodate up to 40 guests. Like all of our locations, full restaurants buy-outs and off-site catering requests are welcome! 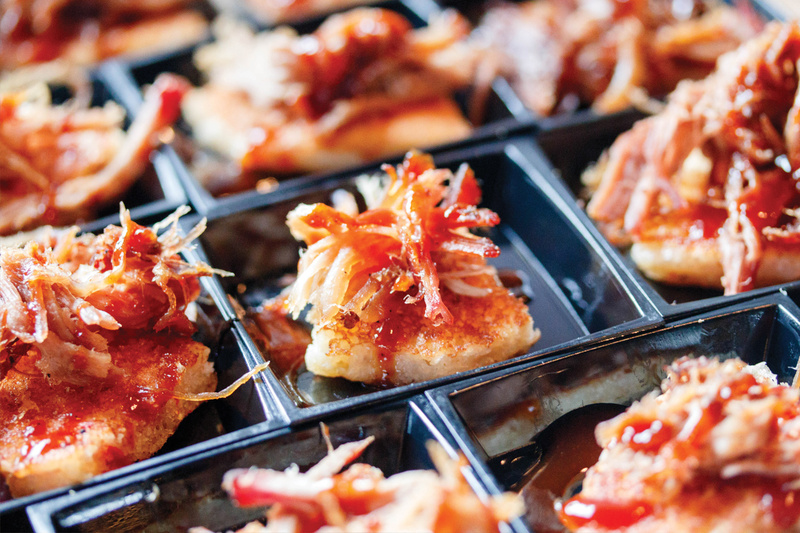 Looking for something extra to add to your off-site event? 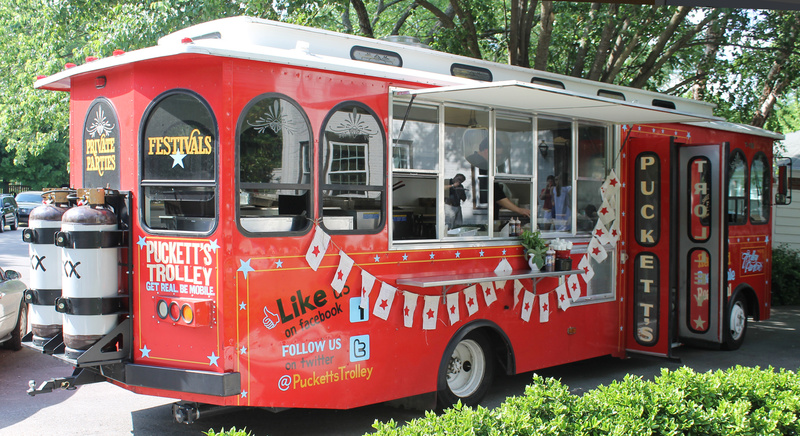 Puckett’s Trolley is a food truck eatery—affectionately nicknamed Ms. Trolley Parton by her fans—that offers made-to-order bites from its renovated and historic mobile venue. Public festivals, big birthday parties, corporate lunches, wedding receptions and beyond, Ms. Trolley Parton is ready to roll your way! Click the button to fill out our catering and events request form, and one of our team members will get back with you shortly!